Japan Foundation Los Angeles provides high-quality Japanese film screenings every second and fourth Wednesday at 7 p.m. at the JFLA Auditorium, 5700 Wilshire Blvd., Suite 100, in Los Angeles. The latest from renowned filmmaker Yoji Yamada is a joyful and comedic tale of family life in modern Japan. 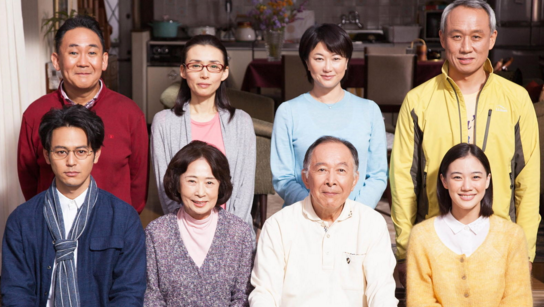 Retired curmudgeon Shuzo (Isao Hashizume) lives a life of relative peace with his doting wife Tomiko (Kazuko Yoshiyuki), their two sons, daughter-in-law and two grandsons. But when Tomiko’s birthday arrives, and Shuzo has once again forgotten, she asks for a very special birthday gift: a divorce. In complete shock, Shuzo thinks this must be a joke. As it becomes clear that Tomiko is very serious, one by one the family members get involved. Aug. 9, 1948. 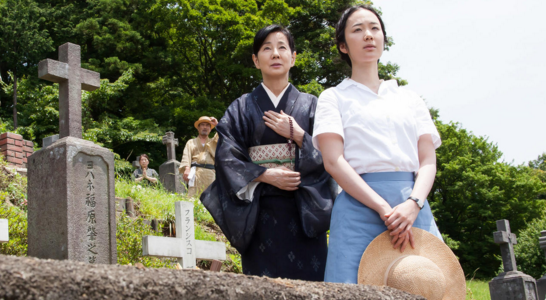 An aging midwife named Nobuko (Sayuri Yoshinaga) is visited by the ghost of her son Koji (Kazuya Ninomiya), whom she lost to the atomic bomb in Nagasaki. From then on Koji visits his mother frequently to reminisce and catch up on lost time. Their biggest topic of conversation is Koji’s kind-hearted fiancée Machiko (Haru Kuroki), who regularly visited Nobuko over the three years since Koji’s death. Machiko and Koji both seem unable to fully accept what has happened, but Nobuko slowly encourages them to move on. Yamada’s moving, star-studded film is a complementary response to playwright Hisashi Inoue’s seminal work “The Face of Jizo,” about a father-daughter relationship in the aftermath of the Hiroshima bombing, and the master director’s self-proclaimed attempt at making the most important film in his life. Free to attend. No reservations required. Street parking is available. For more information, call (323) 761-7510 or visit http://jflalc.org.